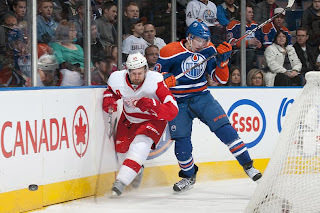 You guessed it Oiler enthusiasts, another article on Ryan Nugent-Hopkins and the Calder race. It's a tough time of the year for beat writers and bloggers to find Oiler material so this Nuge thing is getting beaten to death. Well, I mind as well join the party and give my two cents worth. Nugent-Hopkins is the talk of the town, and for the first time in team history, the Edmonton Oilers have a chance to add some elusive hardware. It's hard to fathom that after all the great players in Oilers history, no one has won rookie of the year. The run for the Calder trophy has become a three man race between Nugent-Hopkins, Gabriel Landeskog and Adam Henrique. Both Landeskog and the Nuge have turned it up as of late and unless the Devil in Henrique goes on a scoring tear, it appears we're looking at a western shoot-out. Will the Nuge slide first to the finish line or will he run into an Avalanche of Landeskogs? Only one point separates these three players and these last few weeks in the season will decide who brings home the hardware. Many hockey journalists argue that both Landeskog and Henrique have played pivotal roles in helping their team battle for the playoffs and should therefore win the Calder. While the Oilers are not competing for the playoffs, journalists have to take in to account games missed by Nuge do to injury. 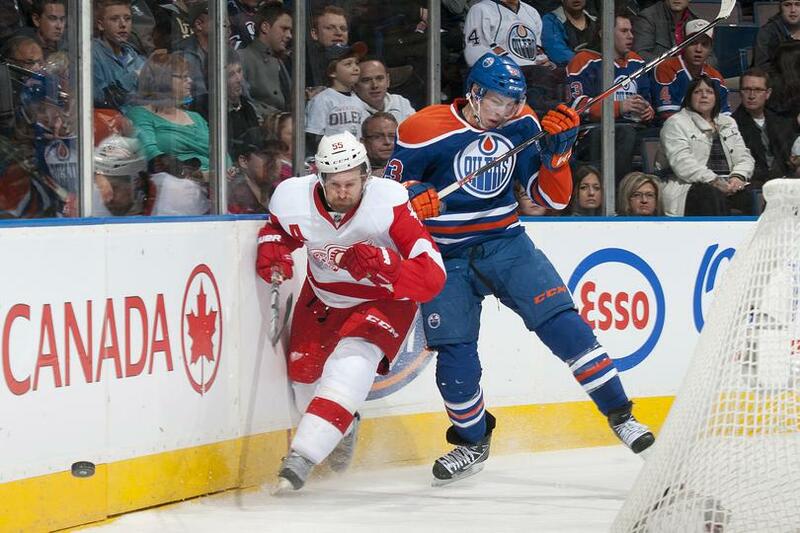 Nugent-Hopkins has missed twenty games this year because of shoulder problems. When considering who should win the Calder, voters can only evaluate the games played, injuries are an unfortunate truth of hockey. If Nugent-Hopkins played more games I wouldn't be writing this article, there would be no Calder race. 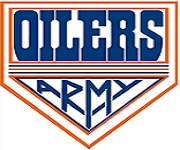 True the Oilers are not a playoff bound team yet injuries played a vital role in the teams demise. The same argument could be said for Ryan, if he had not suffered injury problems, it's more than likely the Oilers would be competing for the playoffs as well. It's a sad truth of hockey and I don not relish the voters when they decide the winner of the Calder Trophy. Unless Nugent-Hopkins is able to create some space in the scoring race, Landeskog will probably win. While the Nuge has been the talk of the town and is garnering attention; Landeskog currently has the full intention of all hockey journalist across North America. In the end the PHWA will vote on the winner and with seven games left, Ryan needs to get there full attention. With 47 points in 55 games, Nugent-Hopkins still has a small chance and will need to finish strong. Ending the season with 57 points in 62 games, not that's a story worthy of a Calder!